If you participated in the ESTEC™ LA Entrepreneur Workshop you already know the value of investing in yourself and have received important information on building your entrepreneurial future! Whether you attended the workshop or not, we are inviting you to take the next steps toward success: sign up now to attend five free workshops on Optimizing Your Personal Skills for Success and consider applying to become a candidate for the ESTEC LA™ Incubator – Powered by OmniWorks™. This program is limited to fifteen enterprises (2 people each) who will receive personalized business guidance and curriculum from industry experts free of charge. Participants will be selected from applications submitted by ELAC students and existing community-based businesses. Eligibility is based on a criteria of enterprise stage, commercial viability, location, growth potential, commitment, and in-person interviews. Selected enterprises will participate in eleven weeks of Small Business Management and Principles of Selling courses beginning June 11th - including additional workshops on QuickBooks and LIVEPLAN platforms - and nine months of high-touch incubation, beginning August 27th, in a dedicated co-work space. Scroll down for information on the application process. *ELAC courses are for credit. Upon completion of the incubator, all participants will receive Certificate of Completion. The ESTEC LA™ Incubator program is recruiting women, minority, veteran, formerly incarcerated, and LGBTQIA aspiring/existing student and community-based entrepreneurs who are in a startup/pre-product or growth phase with a viable business idea and growth potential. Alignment with key California growth industry sectors (logistics, advanced manufacturing, robotics, drone technology, alternative energy, digital media, engineering, hospitality, small business enterprise) is preferred. 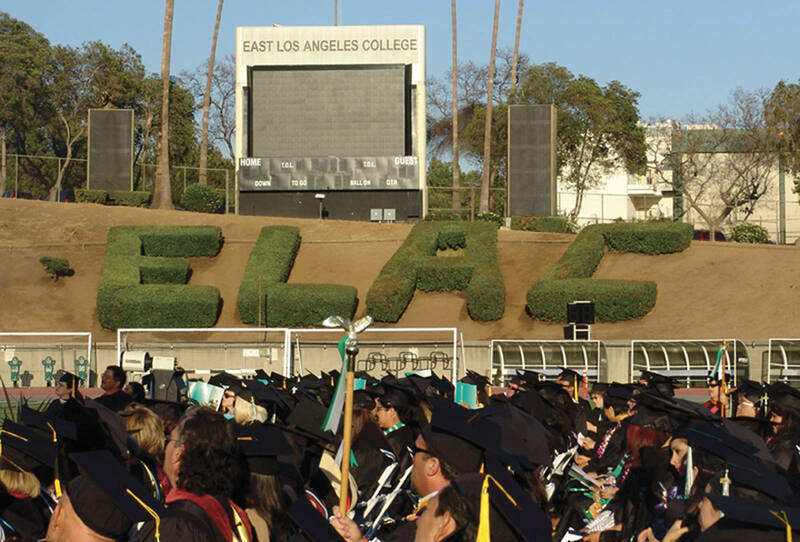 Entrepreneurs must conduct, or plan to conduct, business in communities within the East LA College service area. The program is offered at no cost. Enrollment in courses (Business Management, Marketing, and Interpersonal Skills Workshops) is mandatory. If you are an entrepreneur interested in the Incubator Program follow the steps below. 1. Fill out the application form (click here) to create your initial business profile: If you are selected as a candidate for the program, the ESTEC LA selection committee will notify you by phone. During the phone interview, additional written information on your business will be requested in order to move onto the next step. 2. Interviews: Following the telephone interview and review of your business information, you will be contacted by phone to schedule an in-person interview during the week of May 21. 3. Selection: You will be notified by June 1st (by phone and email) if your company has been accepted into the incubator. 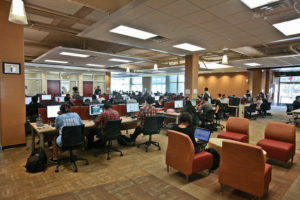 You will also receive information on securing an ELAC Student ID (if you don’t already have one) and how to register for the Business Management and Marketing courses. ESTEC™ LA Incubator – Powered by OmniWorks™ is a powerful new program that brings a comprehensive suite of professional business development programs to ELAC students and local entrepreneurs at the East LA Center for Entrepreneurship & Innovation. This is the first such incubator program for ELAC and the East Los Angeles region. 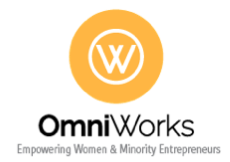 Our mission is to accelerate startup and growth-phase minority, women, veteran, formerly incarcerated and LGBTQIA owned businesses in the communities of East Los Angeles. The program’s goal is to help build economic prosperity, support quality job growth, develop intellectual property, and create generational wealth in under-served communities. Sponsorship packages are available upon request. ESTEC LA welcomes professionals in key industries to serve as mentors/advisors. Contact us to learn more about how you can support ESTEC LA. For more information call 323-265-8901. *These programs and workshops are for educational purposes only. The Los Angeles Community College District, East Los Angeles College and East Los Angeles College Foundation do not endorse or sponsor the participating individuals/organizations or their respective opinions, views, and services.